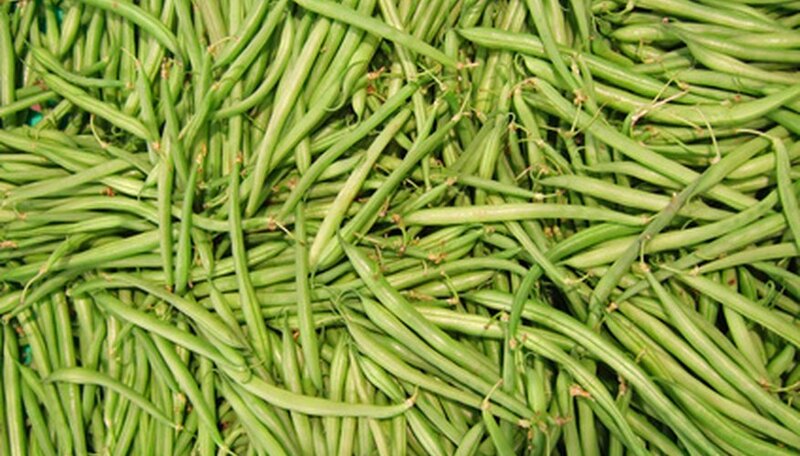 The delicious green beans you enjoy from your garden can be reproduced year after year when you save your own seeds. Harvesting green bean seeds is an easy process which requires no special skills or experience and virtually no effort. Once your seeds are harvested they will keep for years when stored properly, saving you time and money when the next growing season comes around. If you have more than one type of green bean growing you’ll need to be sure to collect, open, and store them separately to avoid confusion. Select your healthiest, most productive plants to collect seeds from. These should be the plants which don’t have any signs of disease and have grown strong and vigorously over the season. Tie a string or ribbon, if desired, onto the plants you have selected to help you and anyone else who works in the garden remember where they are. Let the pods growing on these vines go unpicked and allow them to dry. Wait six to seven weeks as the pods and beans inside them dry. Typically the look of the pod will indicate full dryness; however, if you give them a shake many of the pods should rattle as another signal the seeds are ready. Hold a bowl underneath each pod as you pick it and drop the pods into the bowl. Collect all of the dried pods together. Take one pod at a time from the bowl and hold it over your second bowl as you crack it open. Let the seeds drop into the second bowl and discard or compost the pod portion. Continue until all of the pods have been opened. Store the seeds in a seed envelope or jar in a cool, dry place out of direct sunlight. Label the envelope or jar by writing important information about the seeds on a strip of masking tape. Include the name of the bean, the growth habit (pole or bush), as well as the date you collected them. To capture the best in your green bean plants' ability, harvest seeds early in the season from your first producers as well as late at the end of the season. This will give you both early and late varieties to work with for next year's plantings. If the forecast is calling for a frost before your pods are finished drying outside, pull the plant from the ground and hang it upside down in a dry, protected area such as a basement or garage and let them finish drying there.